Women on a Mission: Mom Edition: SPICED UP SPICE BOXES! It’s Labor Day weekend and that means a three-day weekend for Steve and I (and coincidentally Ethne). This Labor Day we had no actual plans. Steve had nose surgery on Friday to breath better and we had no idea how he would feel. He is hurting a little, but overall doing well. We’ve been on a mission ever since to put our yard (mostly in order) in order! 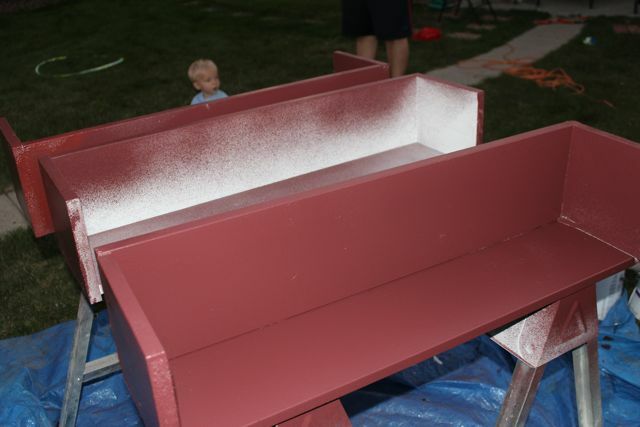 Mission one—complete my spice box (flower box) re-style. 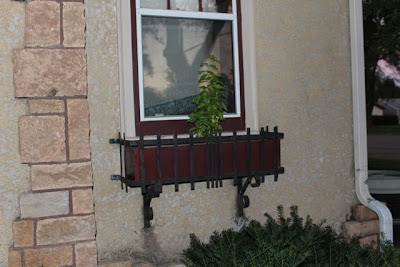 Remember here…I told you about my flower boxes original to the house, but they were in need of an upgrade. 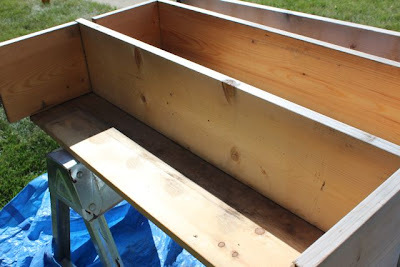 And so…I turned to handy G-Pa (my dad) and asked him to make wood boxes that my current flower boxes would insert into. I received them from my dad (actually over two years ago---I let this one slide) and this weekend decided to complete the project. First up, I wiped down the wood boxes. Years of garage dust had accumulated on them. 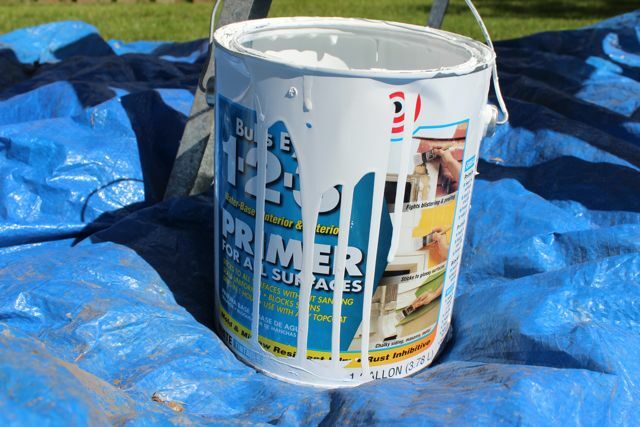 Next up, was the primer—luckily I had indoor/outdoor primer already on hand from many previous paint jobs. It went on slick. Then it was time for color and I knew I wanted the paint to match the trim on my house. Luckily the previous owners had left a can of paint as well as the painters right after we moved in (a condition of the sale of the house and we did not pay for it). 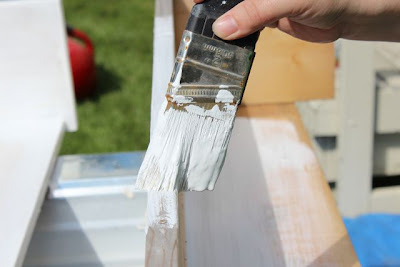 I opted to enlist Steve to use our paint sprayer and spray it on (we were in the process of doing another painting project—future post). It went on slick, they dried, and later in the day were put in the place. VIOLA—MISSION SUCCESS! LOVE MY SPICE BOXES! 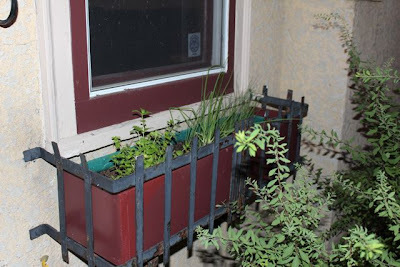 AND LOVE MY MINT, CILANTRO, CHIVES, AND BASIL! Ooh! Those look pretty great. 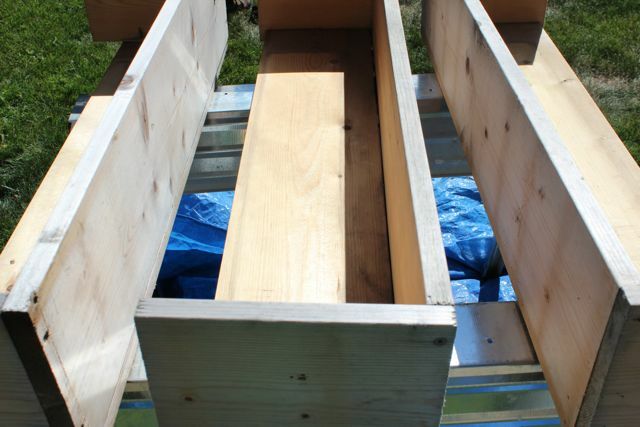 And the wood looks sturdy. 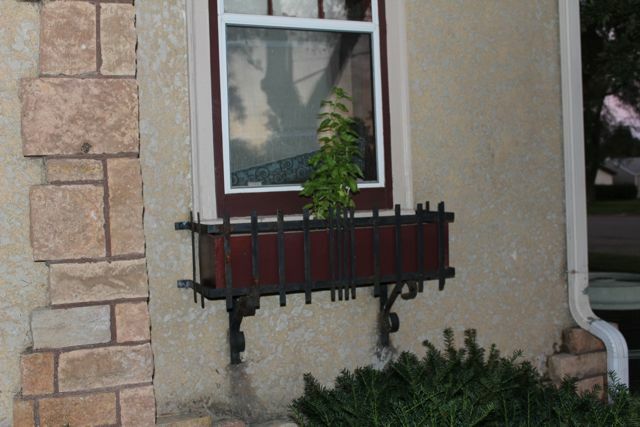 Looks like you'll be picking herbs from the window for years to come.